These rustic yet elegant Cannoli Crostini with Chocolate, Pistachios & Honey are perfect for dessert or an easy brunch dish. Creamy ricotta, crunchy nuts and dark chocolate, and sweet honey are a delicious combination for #Choctoberfest! 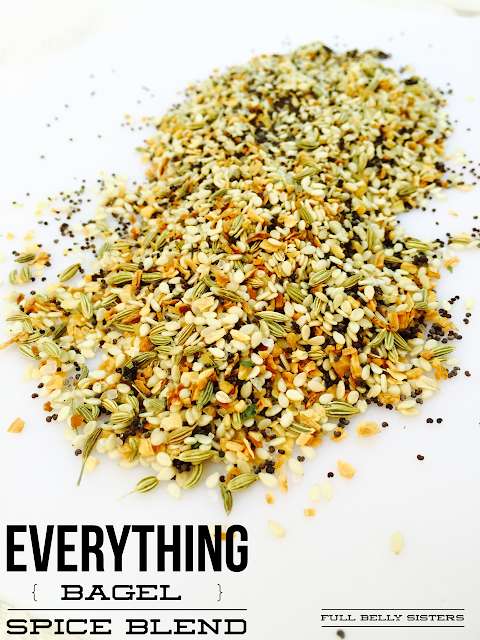 Thank you to Nature Nate’s for providing the product used in this recipe. All opinions are my own. Woo-hoo, it's #Choctoberfest! This virtual event features bloggers from around the world, posting their favorite chocolate recipes—like these Cannoli Crostini with Chocolate, Pistachios & Honey—and you’ll get a chance to win some awesome prizes. Head over and enter now! #Choctoberfest has some amazing sponsors, including Nature Nate's 100% Pure, Raw and Unfiltered Honey. I was lucky enough to receive a wonderful goody box that included a huge squeeze bottle of honey (made by American Bees! 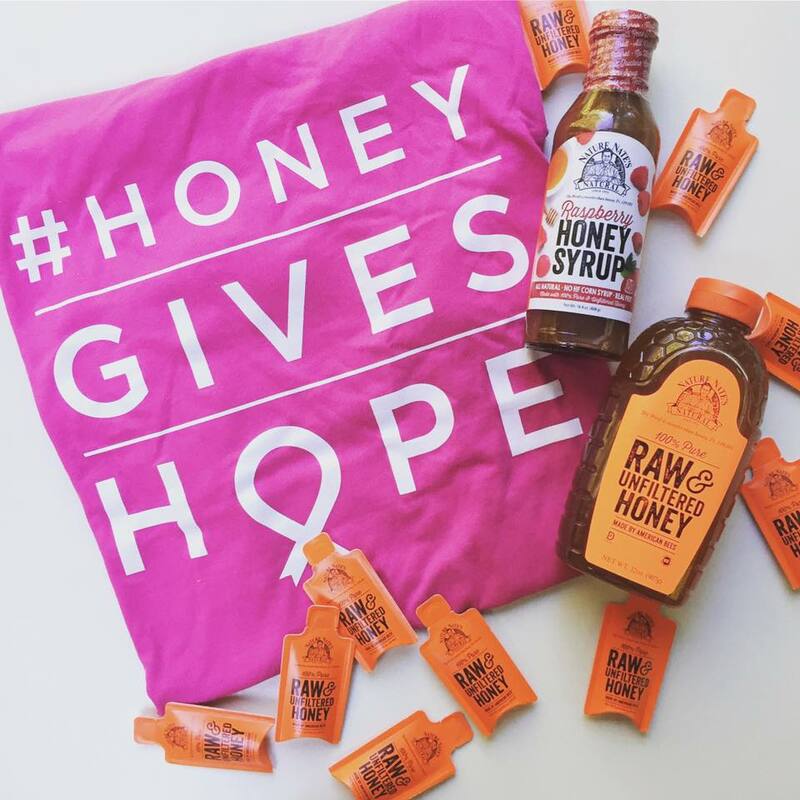 ), Raspberry Honey Syrup, and a bunch of handy Honey Packets—perfect when I'm on the go. I also got a fantastic "Honey Gives Hope" t-shirt, celebrating Nature Nate's initiative to support breast cancer awareness. This speaks directly to me. Both of my parents are two-time cancer survivors. Supporting cancer awareness, treatment, and research is of the utmost importance to me. Over the past four years I have worked with a team to raise over $125,000 for rare cancer research at Memorial Sloan-Kettering Cancer Center here in New York. I truly appreciate that Nature Nate's takes on such crucial work. And I also truly appreciate that Nature Nate's provides such delicious honey. It certainly adds a wow factor to my Cannoli Crostini with Chocolate, Pistachios & Honey. These simple, sweet toasts are wonderful for dessert, but would also be fantastic for a brunch! They take just a few minutes to put together but look like a whole lot more work went into them. Put the ricotta, sugar, honey, vanilla, lemon zest, and salt into a food processor. Process for about three minutes, until the mixture is thick and smooth. Spread a dollop of the cannoli cream onto each toasted slice of bread. Sprinkle the chopped pistachios and shaved chocolate on top. Finish with a generous drizzle of honey over each toast. And stay tuned for more delicious chocolate recipes for #Choctoberfest! I just love this combination. I often serve fig jam and honey on my cheese boards and you put everything in a bite! Sounds delicious! Can I tell you, I think this is brilliant!!! 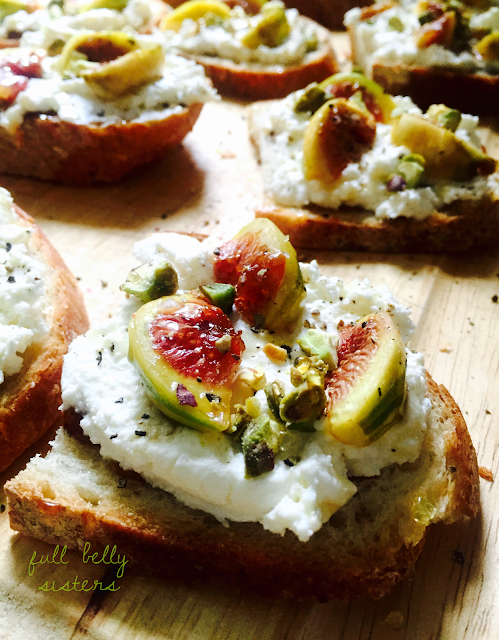 Love the idea of this sweet treat Italian crostini! I love everything about this! It looks amazing, and I'd love to dig in. Right now I really need something comforting and yummy, so this would be great! I am super impressed with this idea of a dessert crostini. You may have started a trend. This was a creation just waiting to happen! Crostini is a natural host to so many good things, this recipe proves it! Oh my - this looks completely amazing - I have to have it! Wow - those look amazing! Such a yummy treat! I'm wishing one would just appear off the computer! This looks so gorgeous and I'm sure it tastes amazing! I love all things cannoli and I am totally drooling over these! I love all the ingredients you have in this crostini, and love a company that supports cancer research! Oh my gosh, this is calling to me!